Combine banana, eggs and cinnamon in a medium bowl. Using a potato masher or fork, mash ingredients together until a thick paste forms. In a skillet over medium heat, spoon 2 tablespoons banana mixture. Cook for approximately 3 minutes. Flip with spatula and cook for 2 minutes on the other side. Repeat with remaining ingredients. Serve with maple syrup, your favorite fruits or nuts. When I heard of the 3-ingredient banana pancakes craze, I immediately had to give them a try. I love banana pancakes and now I love them even more because they are flourless, quick and easy, and a great way to get rid of that last ripe banana in your fruit bowl. If you don’t believe how tasty this breakfast can be, give it a try for yourself. 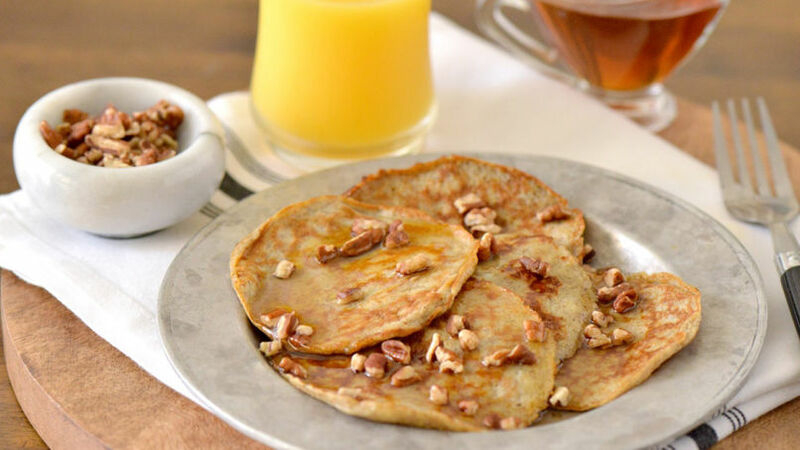 The ripe banana is the perfect sweetener for this no-guilt breakfast treat.